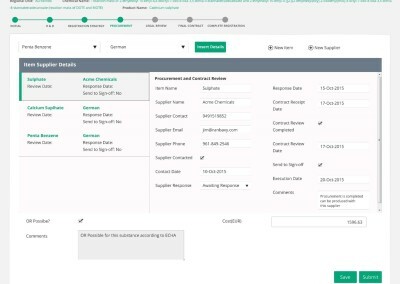 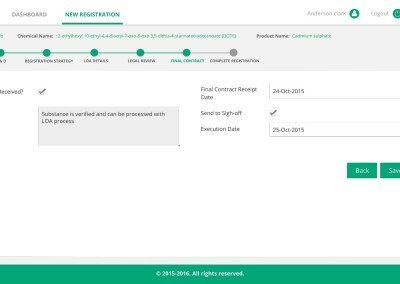 Compliance Software | EUPHOR makes Regulatory Compliance easy! 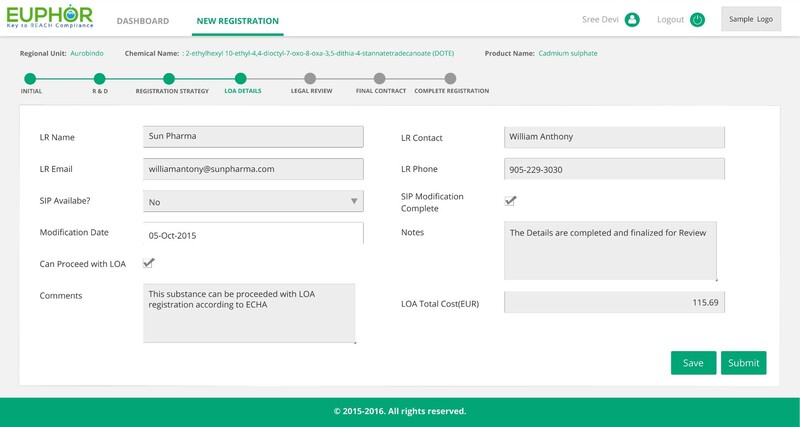 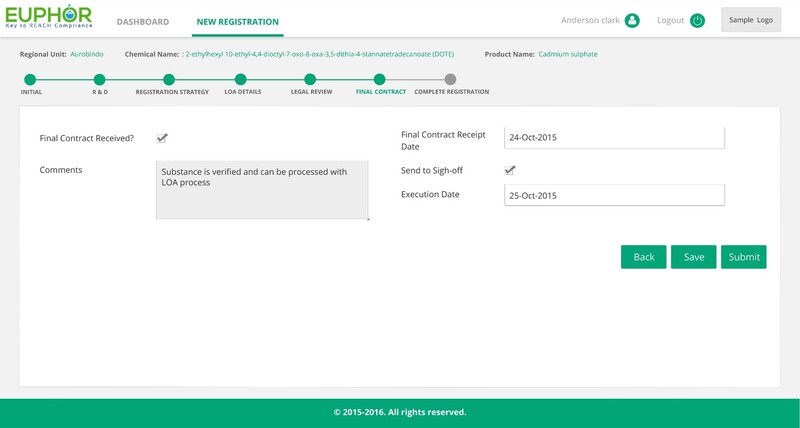 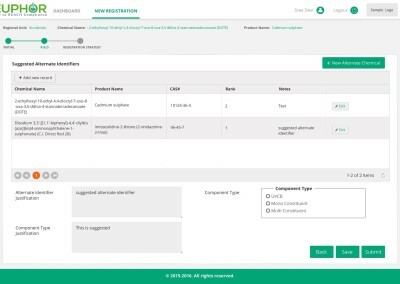 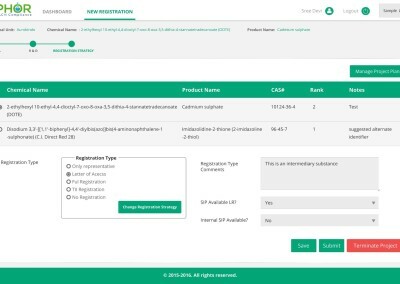 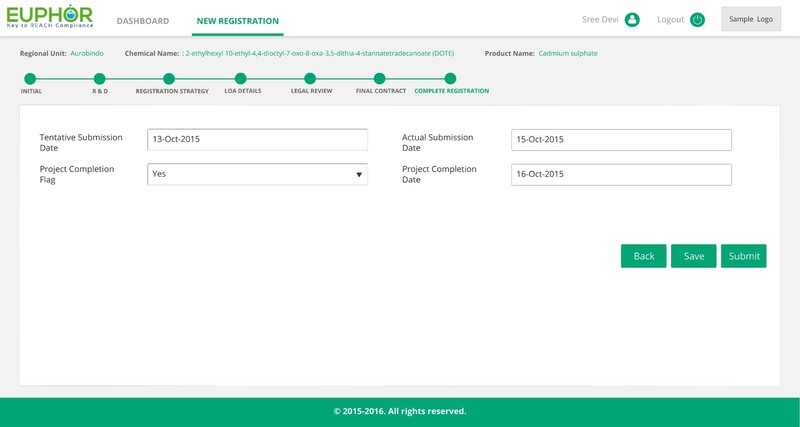 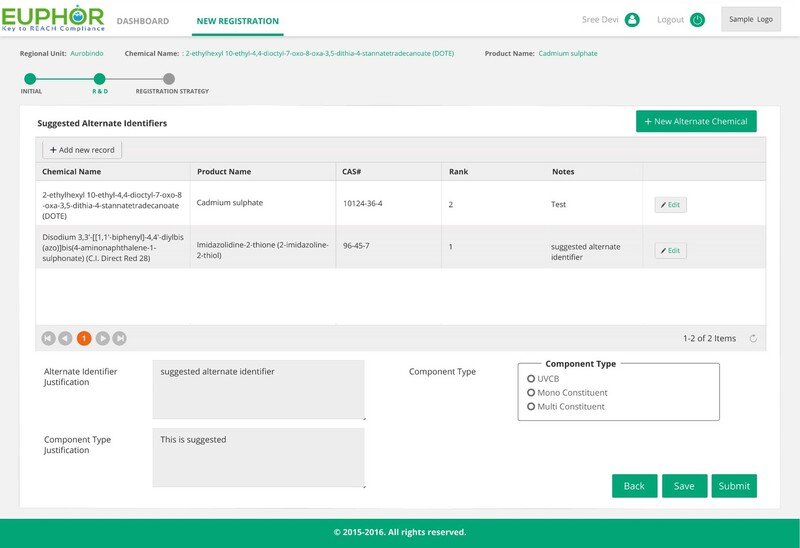 EUPHOR is an innovative compliance software solution designed for the chemical industry. With all the tools you need to track and manage your compliance projects from start to finish, EUPHOR empowers your team to meet compliance goals. 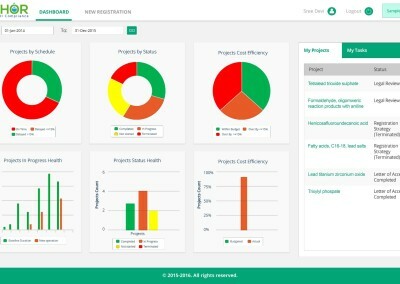 A friendly user interface means all team members can collaborate with little need for training. 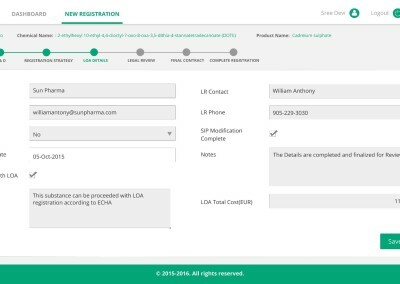 Watch our video above, and scroll down to see screenshots that will show you how accessible EUPHOR can be. 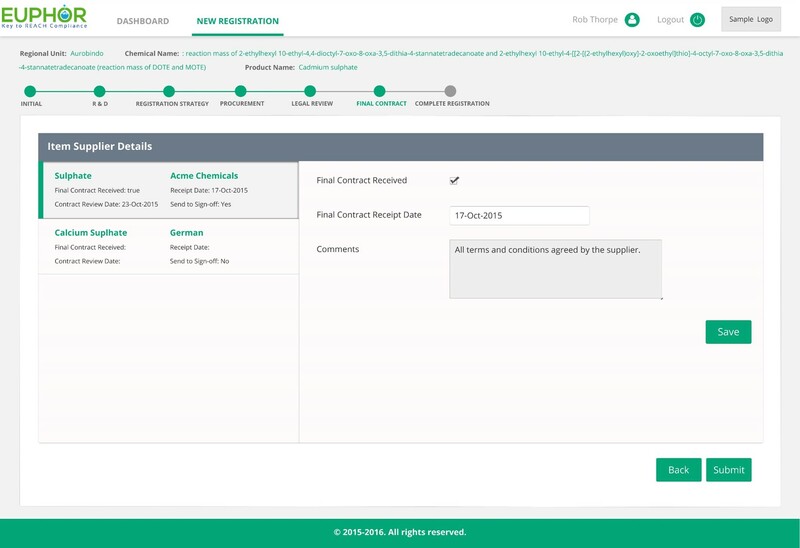 Then schedule a demo and see how EUPHOR can streamline complex compliance projects. 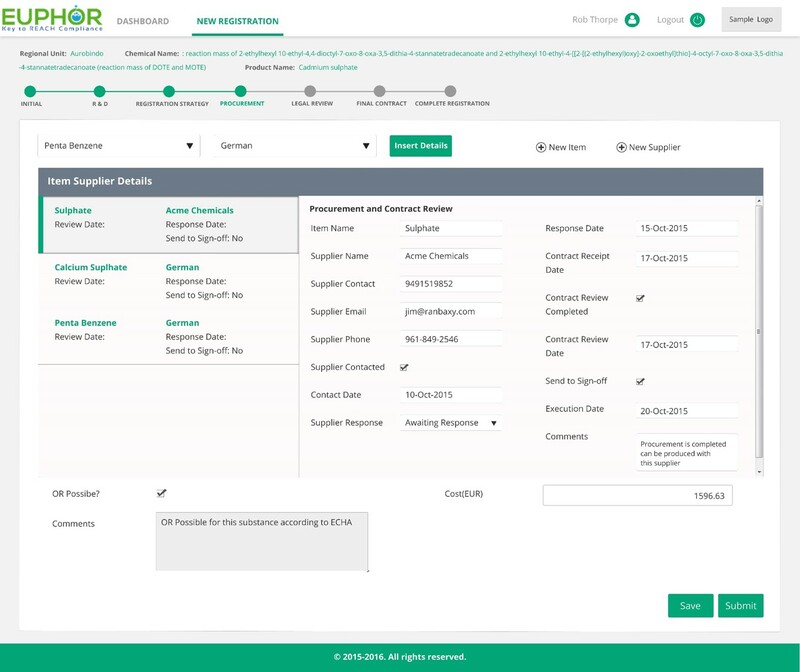 EUPHOR is a robust, self-service oriented and customizable web-based regulatory compliance software available on both cloud and premise. 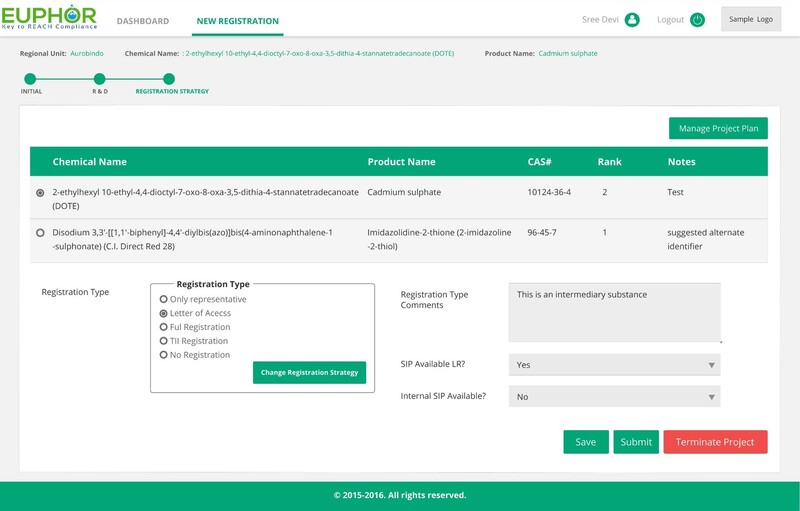 It is ready to set up and easy to use, requiring minimal training to maximize its benefits. 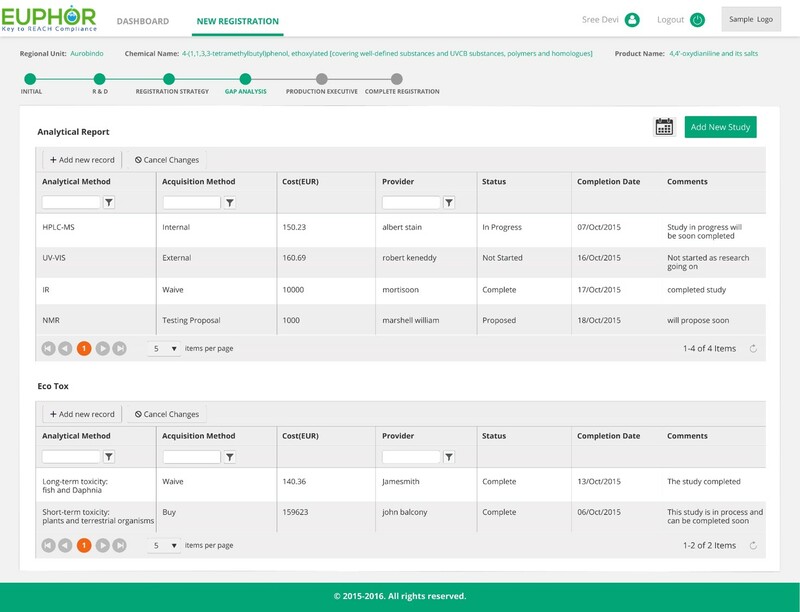 EUPHOR generates pre-configured and flexible workflows for each of your compliance projects based on governmental guidelines (REACH 2018, K-REACH) or your internal processes. 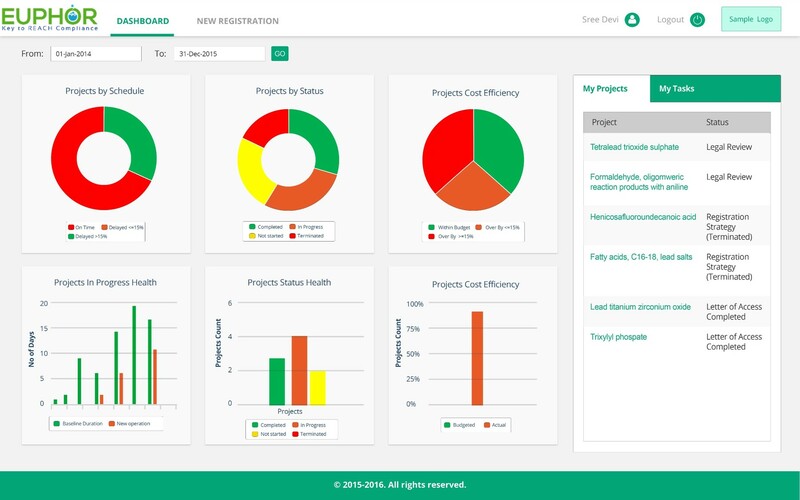 This allows you to plan ahead and manage the multitude of activities involved in your Compliance projects. 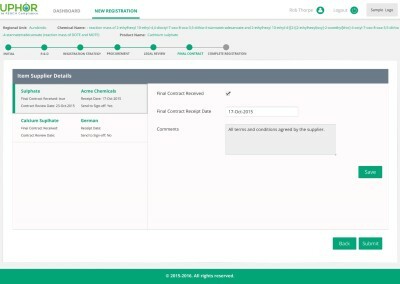 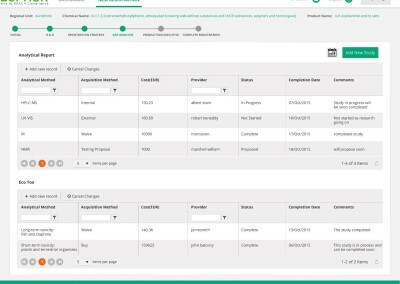 EUPHOR comes with an intuitive dashboard interface giving you an instant 360 view of your Regulatory Compliance program. 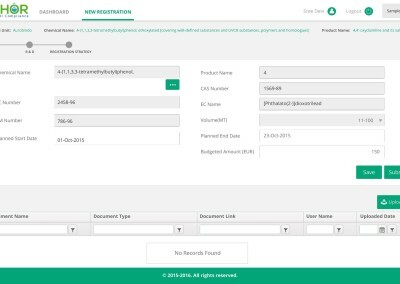 Our compliance software will allow you to easily track your project status per substance, at the business unit and the enterprise level. 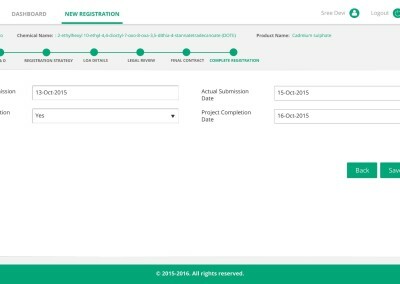 With EUPHOR, upload, share and store data throughout your registration projects, which allows you to keep track of all activities. 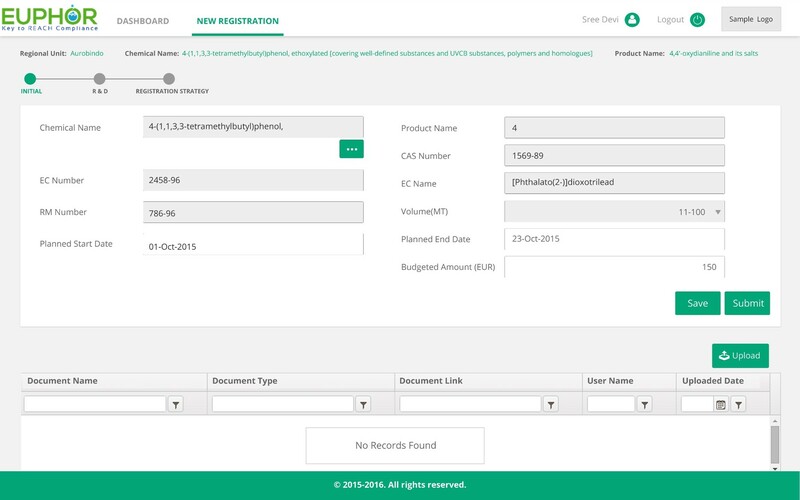 This will facilitate other complex compliance programs, business analysis and future audits. 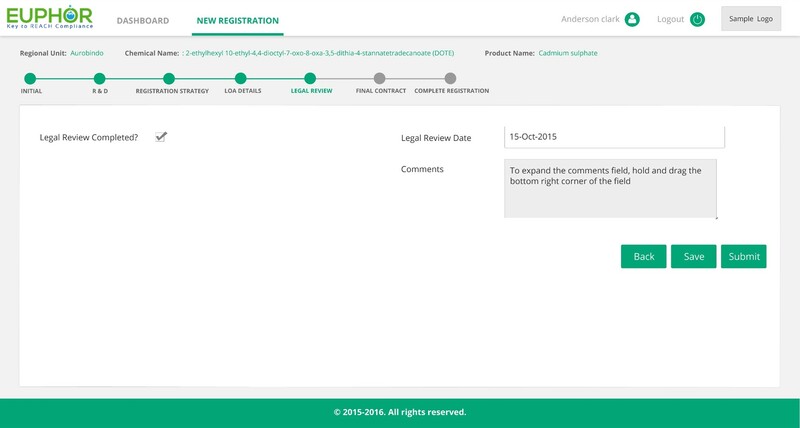 Discover a better way to manage global compliance.